These silicone phone wallets are perfect for the back of any phone case. 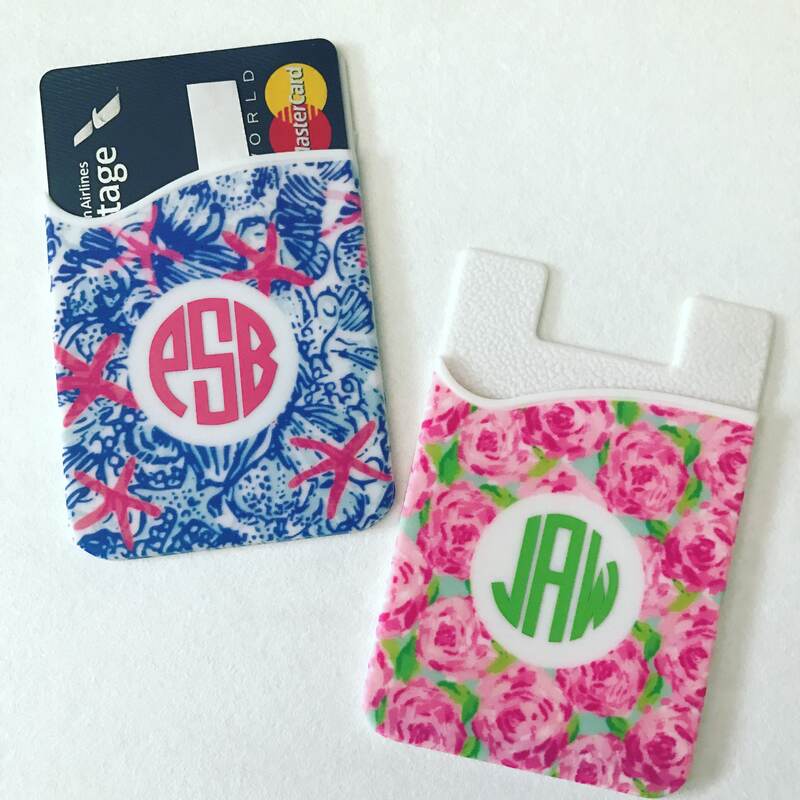 They have an adhesive backing that attaches directly to your phone or phone case. It is very durable, but can be removed when no longer needed. They come in the colors shown: pink roses or blue starfish. **I am not responsible for monograms listed incorrectly.